The archaeological world went into frenzy when researchers came across a medieval Viking grave ring inscribed with the word ‘Allah’. This odd affair probably alluded to the extensive mercantile prowess of the Vikings and the Rus, who frequently traded with (and raided) many Mediterranean coastal towns. But as it turns out, historically the incredible trade link between distant Scandinavia and Mediterranean was not just limited to the middle ages. 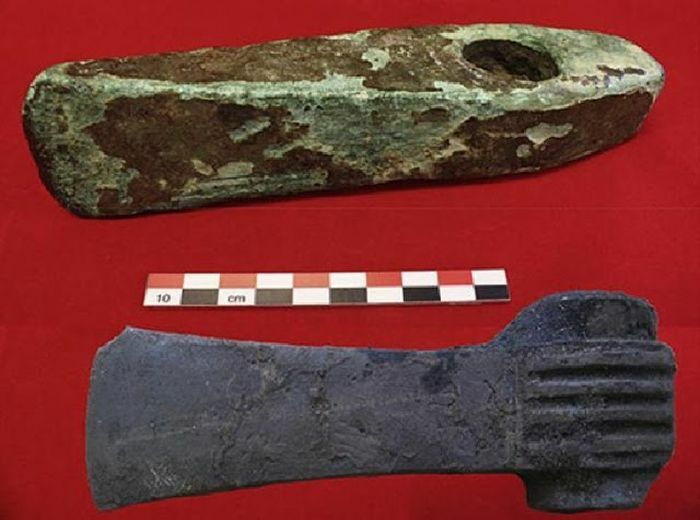 Archaeologists have recently come across 3,600-year old bronze tools in Sweden that were meticulously crafted from Mediterranean-sourced copper. The findings are complemented by a depicted visual scope in Bohuslän, Sweden that possibly showcases trading between ancient Scandinavia and the Mediterranean. Now when it comes to the major sources of copper smelting and availability in the Bronze Age, the industrial infrastructures were mostly based around Sicily, Sardinia, the Iberian peninsula (present-day Spain and Portugal) and Cyprus – as isotope analysis suggests. 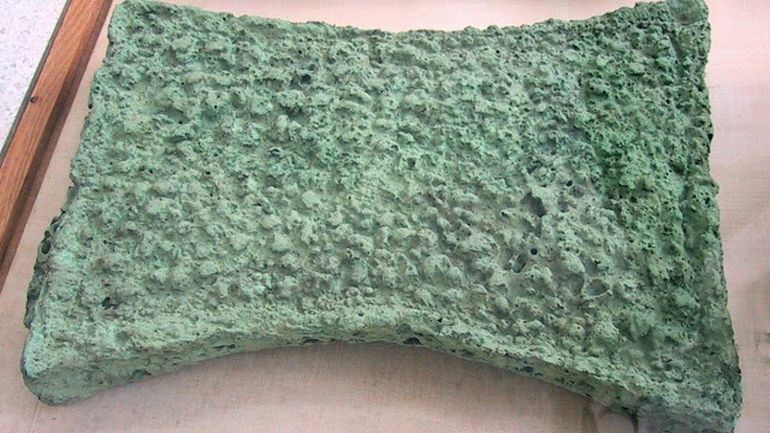 To that end, the Cypriot copper was of relatively high quality, and it was known to be smelted into the so-called ‘oxhide’ ingots – the name given to copper slabs with extruded corners for ease of hauling. Each of these ingots might have weighed over 82 lbs (or 37 kg), and many of such extant specimens have not only been found in Cyprus, but also from mainland Greece and Turkey. One of the examples would pertain to the Uluburun shipwreck of 14th century BC that had almost 10 ingots of Cypriot copper. In any case, from the historical perspective, experts had long hypothesized that the copper trade of the Mediterranean area was kick-started circa 1550 BC. But this new evidence of Mediterranean-sourced copper from Scandinavia sheds new light into this extensive trade network, and alludes to how the trading scope was probably older than previously thought. In that regard, the study entailed the assessment of around 70 bronze daggers and axes from Bronze Age Sweden by researchers from Sweden’s University of Gothenburg (headed by Dr. Johan Ling). To their surprise, the scientists found that a few of these extant artifacts were made of superior Cypriot copper. Interestingly enough, Dr. Ling has suggested that the Mediterranean copper was not imported to Sweden in mass-scale, but rather ‘trickled’ to the Scandinavian shores through some extended Bronze Age trade route. The question naturally arises – how did the distant Scandinavians pay for the precious ingots of bronze and copper? Well the answer may simple pertain to amber, the fossilized tree resin renowned for its color and natural appearance since the Neolithic epoch. In fact, amber (used for crafting gemstones) was also used as a payment method by ancient Scandinavians for acquiring other ‘exotic’ crafts, like the glass beads of Levant. 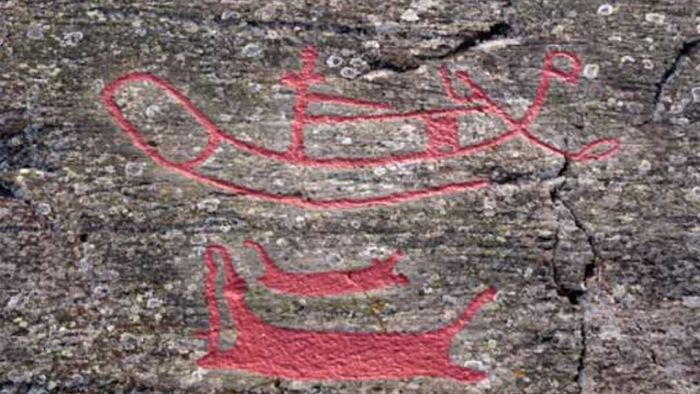 Lastly, as for the visual depictions accompanying such extensive trading networks, archaeologists have identified several rock-carvings in Bohuslän (western coast of Sweden) that hark back to the Bronze Age. One of the recurring thematic elements in these inscribed specimens relate to ships and objects that look like the aforementioned ‘oxhide’ ingots from Cyprus.